Microgreens - the young seedlings of herbs, vegetables, beans, seeds, and grains contain four to six times the vitamins and phytochemicals found in mature leaves of the same plants. These great tasting nutritional powerhouses are cropping up in gourmet restaurants and trendy farmers markets everywhere. 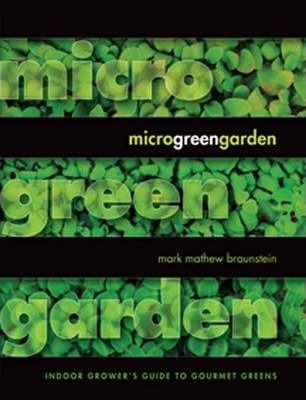 This comprehensive resource explains everything readers need to know to grow microgreens at home, inexpensively and easily. It provides extensive instructions for selecting seeds and soil, along with guidance on proper temperature, light, and ventilation.